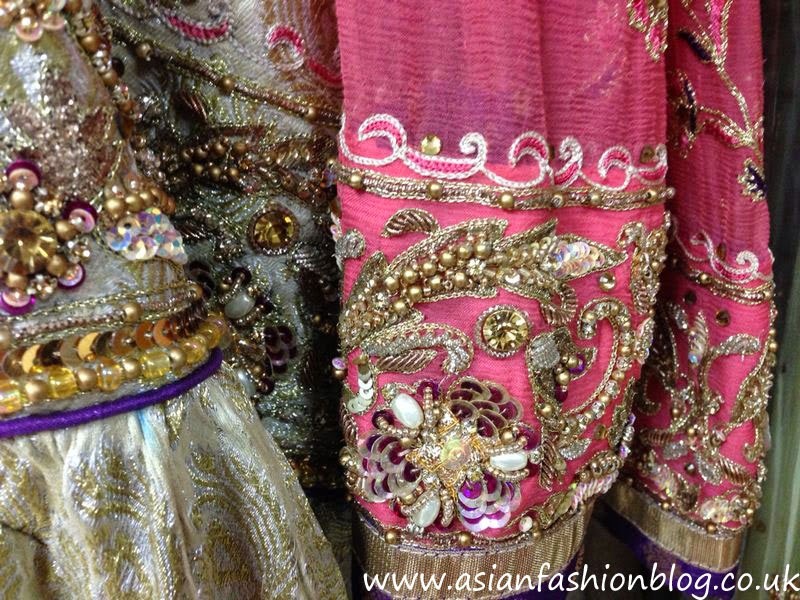 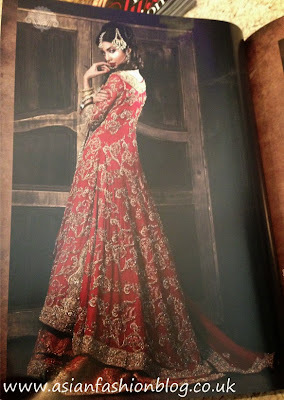 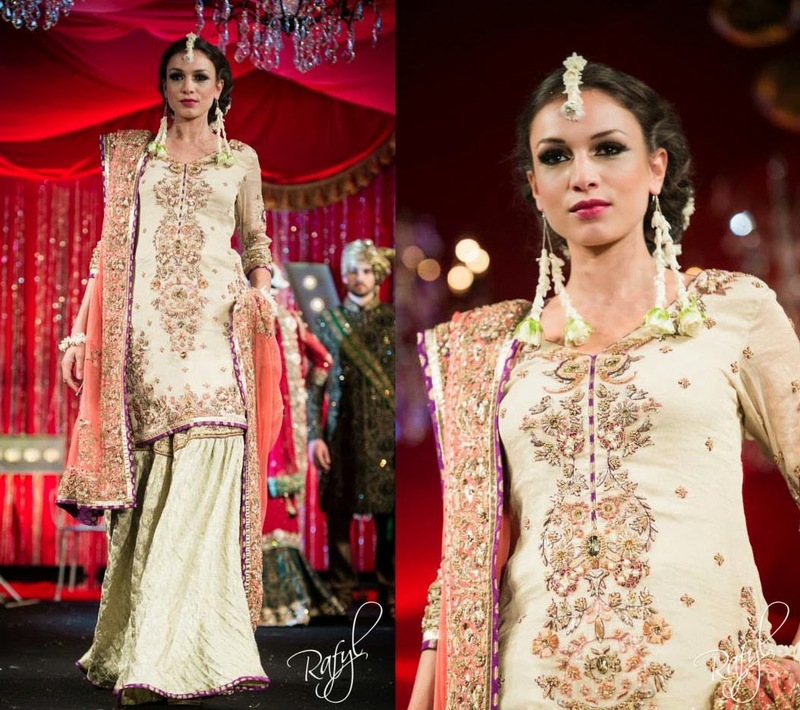 Earlier this year, I posted some photos of outfits from the Mehzabeen bridal collection as seen on the catwalk at the Asiana Bridal Show - take a look here. 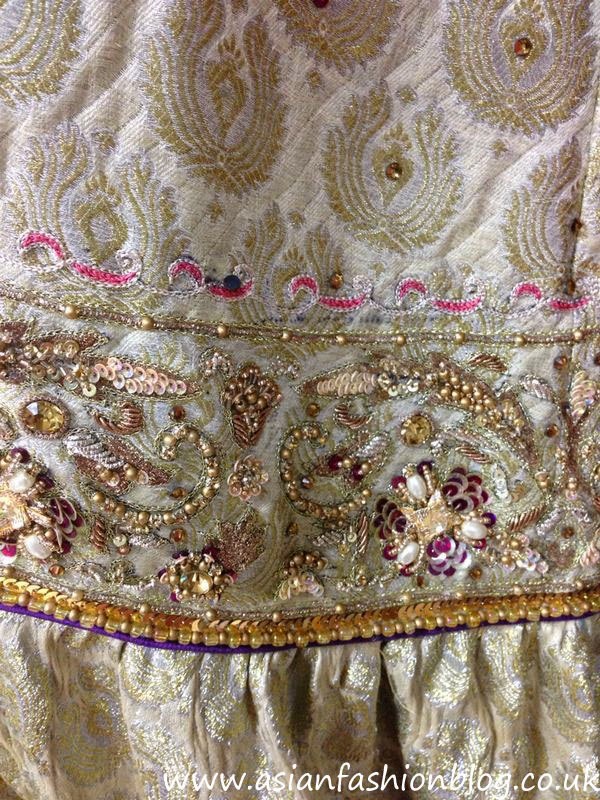 A few months ago, I got a chance to have a closer look at the collection, and they very kindly let me take some close up photos to share with you! 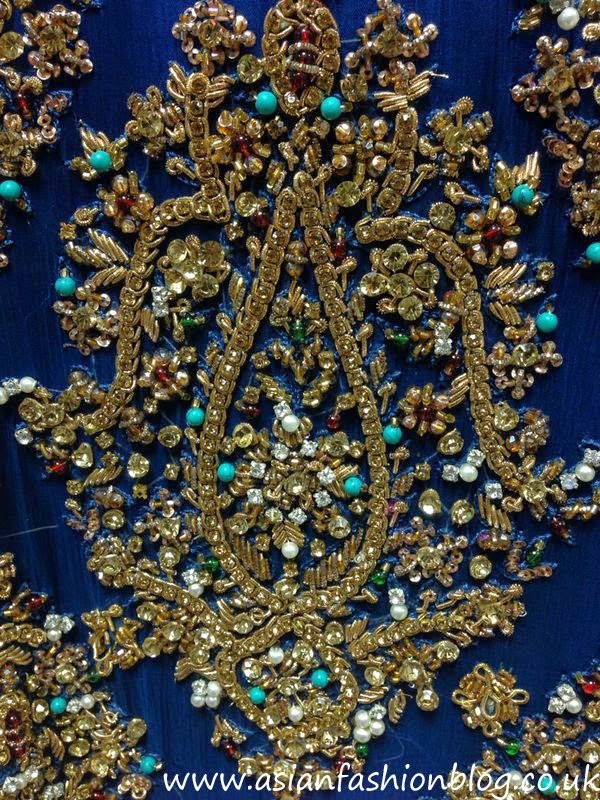 This blue outfit was a custom bridal order, I happened to be within earshot of the bride when she was viewing the outfit for the first time and she sounded VERY pleased! 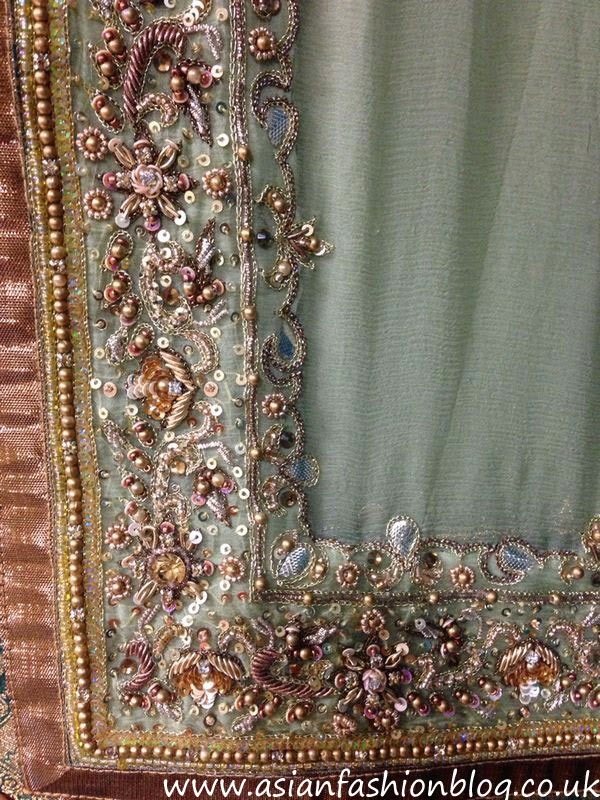 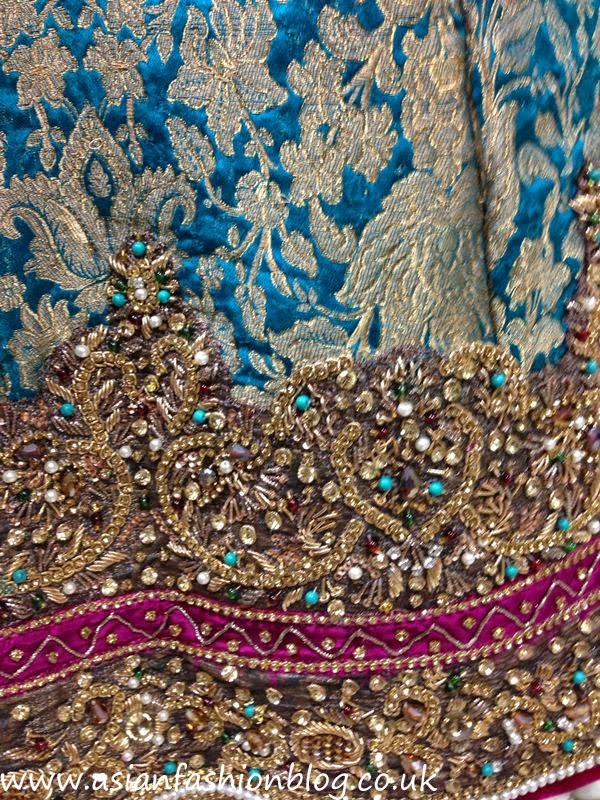 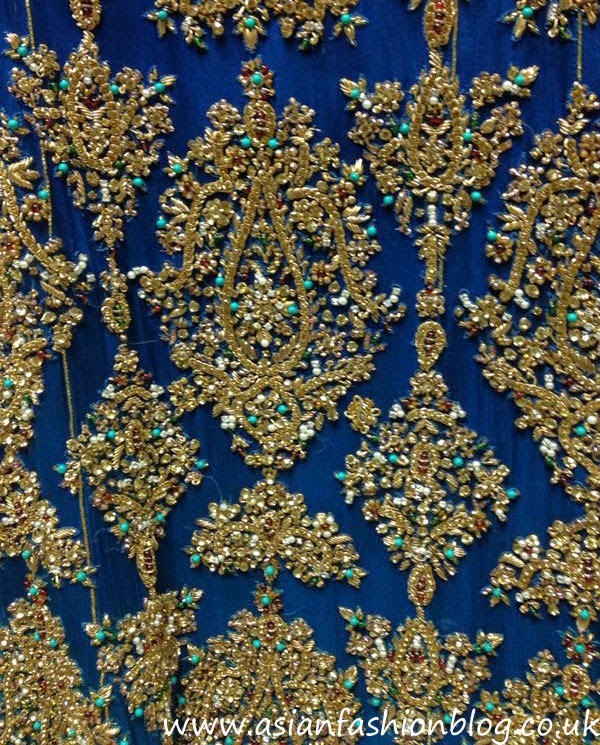 This is the bottom of the lengha. 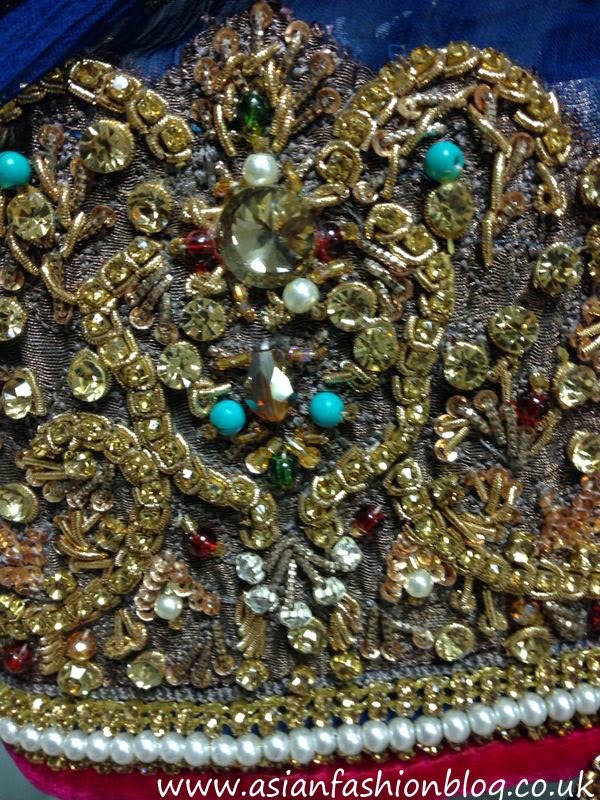 This is the detail on her sleeves, I really like the pearly border! The Mehzabeen bridal collection is available to view by appointment, to find out more and get in touch, visit the Mehzabeen Facebook page.